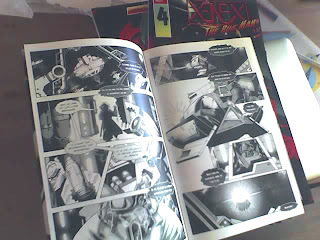 Xenex the Bug Man: Xenex the Bug Man issue 4 is in my hand! 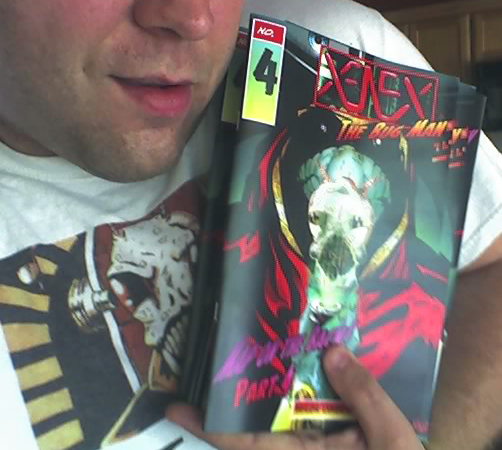 Me holding the first printing of Xenex the Bug Man issue 4! Imagine this: I'm sitting at my board illustrating a page for UF and the doorbell rings. Who could it be? It's the Postman and he is dropping off one of the most wonderful packages! What's the package? It's a small printing of Xenex the Bug Man issue 4! I am so excited about this! It's been a while since I had a new issue made and I couldn't be happier with how it turned out. So far, from front to back, I have found no problems with it's printing. It looks fantastic and even better than issue 3 (for those of you that have issue 3)! On top of having some comics in my hand, Indyplanet just let me know that this issue is now for sale on their website! So, head over to the comics tab, or follow this link straight over and order your copy! 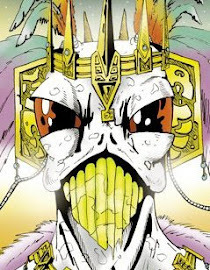 If you do not have the previous copies, I have their links posted in the Comic Books tab on the store front. If you order a bunch of issues at once, you can save on shipping! And remember, I did go ahead and purchase a table for the Fan Days Convention in October. So I will be there (given that I don't have another mishap). I will have a small printing of issue 4 with me at the convention. If you want to purchase one from me there, get there early. If you order your book online, bring it to the convention, and I'll sign it (signing is free with a smile)!